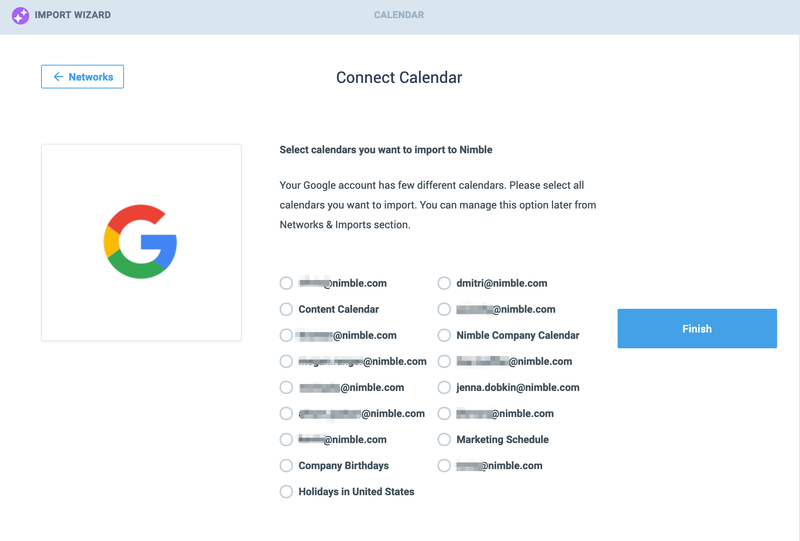 Nimble features full two-way syncing with multiple Google Calendars. This is an overview of the functionality and how to set it up. 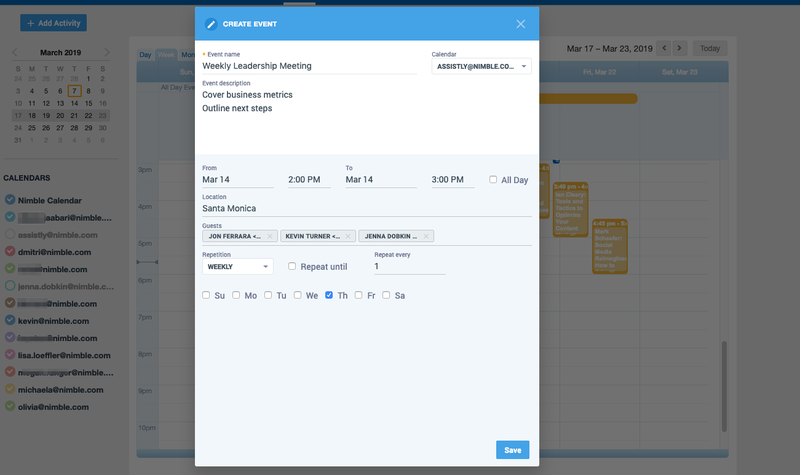 Events are synced from Google Calendar to Nimble on an hourly basis when you are actively signed into Nimble and every 3 hours if you are not actively signed into Nimble. If you would like to edit or delete an event after it has been created, you will be redirected to make changes in Google Calendar. Invitees for events will not receive an invitation in their email inbox but the event will appear on their calendar. Get started by navigating to Settings >> Networks & Imports in your Nimble account. Select "Calendars" then choose "Google Calendar". 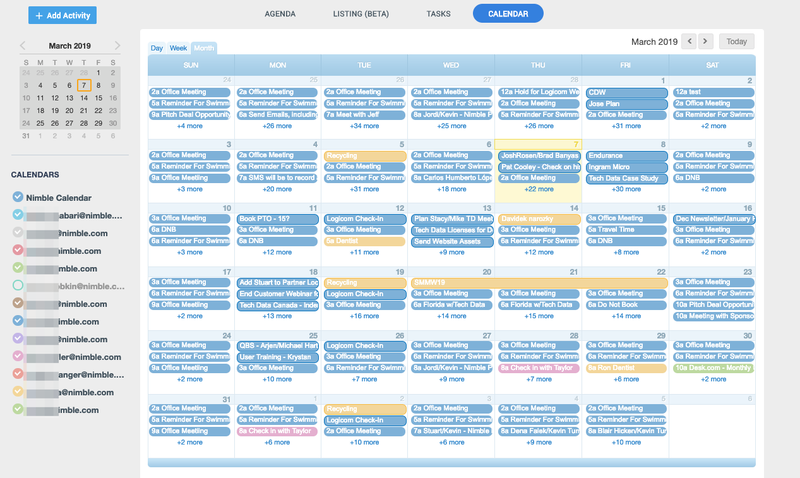 You can then authorize your Google account and select the calendars you want to sync over. Select "New Activity" and select "Event". Once you have selected "Event", be sure to select your Google calendar from the dropdown menu. 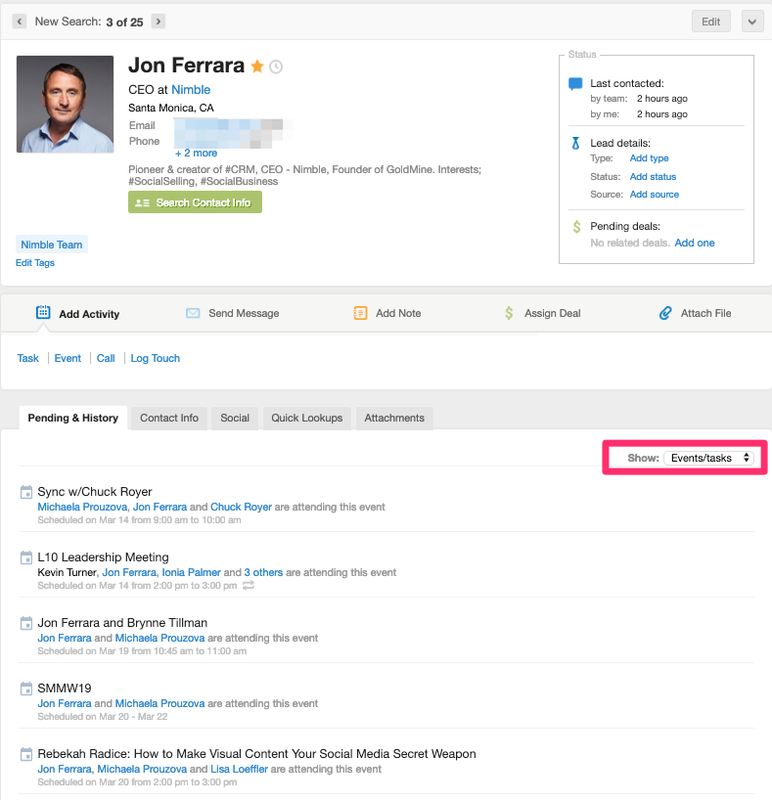 Once you create the event, it will appear on the related contact record under "Pending & History" and "Events".